Several TCC students were awarded internships for the summer of 2018. 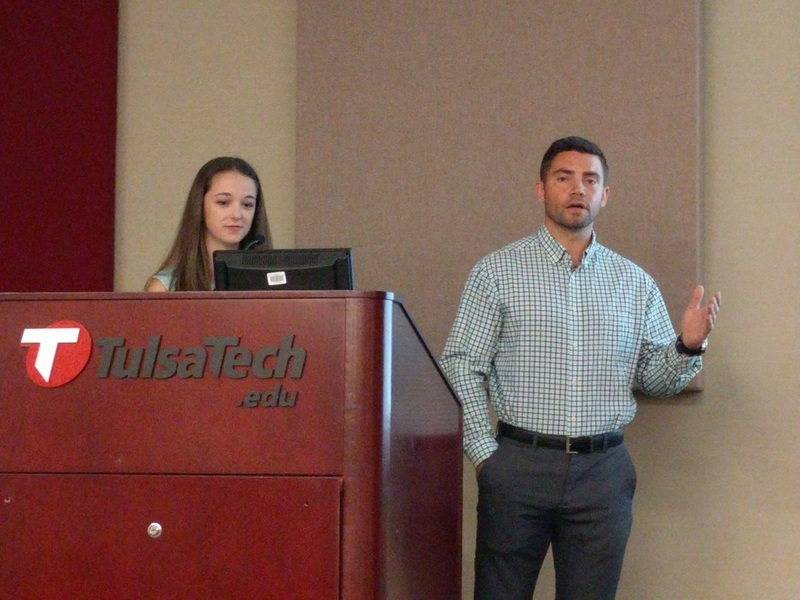 Organizations sponsoring interns include OK-INBRE, TABERC (Tulsa Area Bioscience Education & Research Consortium), and the TCC SMART grant program. 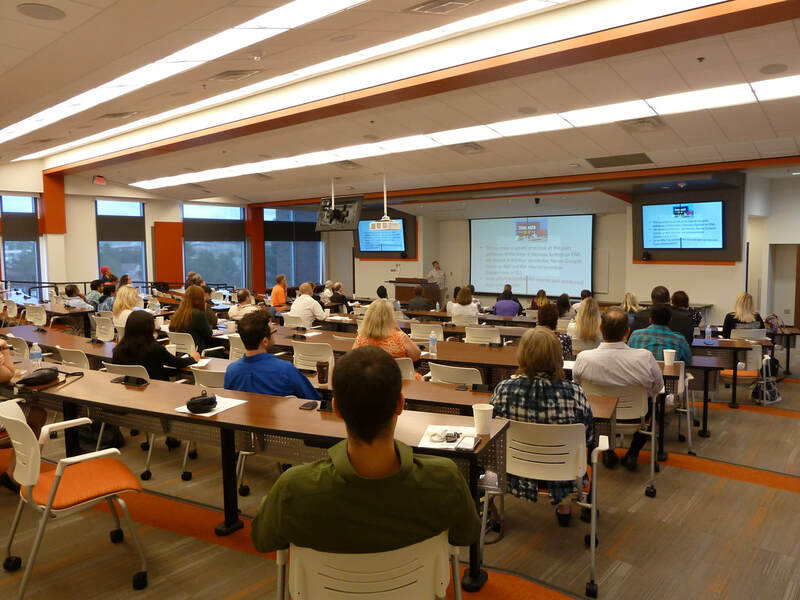 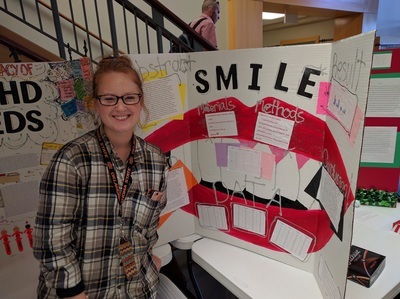 Students will work with research mentors at OSU Center for Health Sciences in Tulsa, Oral Roberts University, Tulsa Community College, and Northeastern State University. 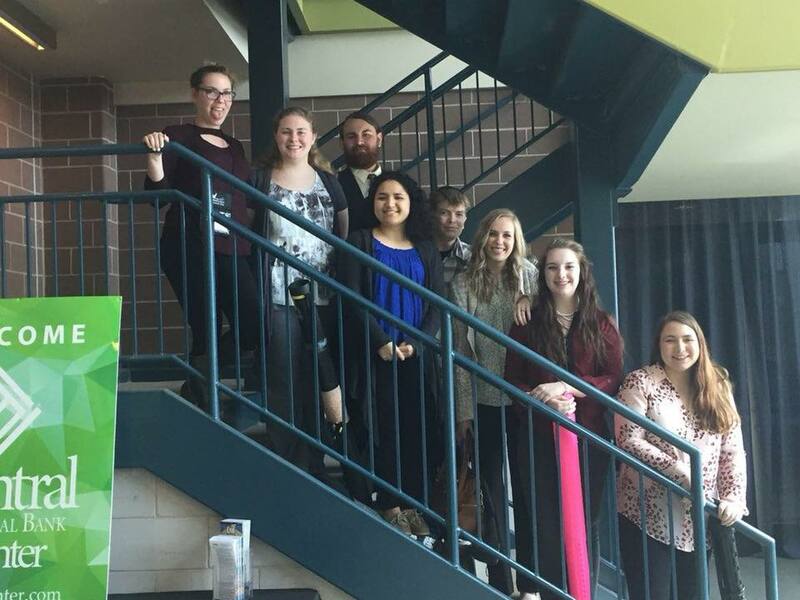 Congratulations to all award recipients! 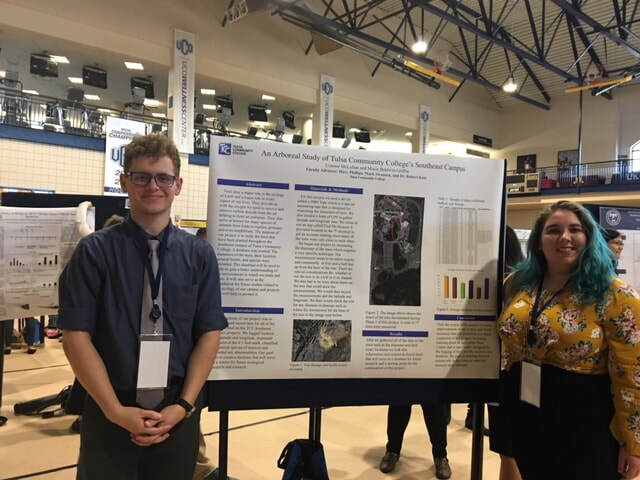 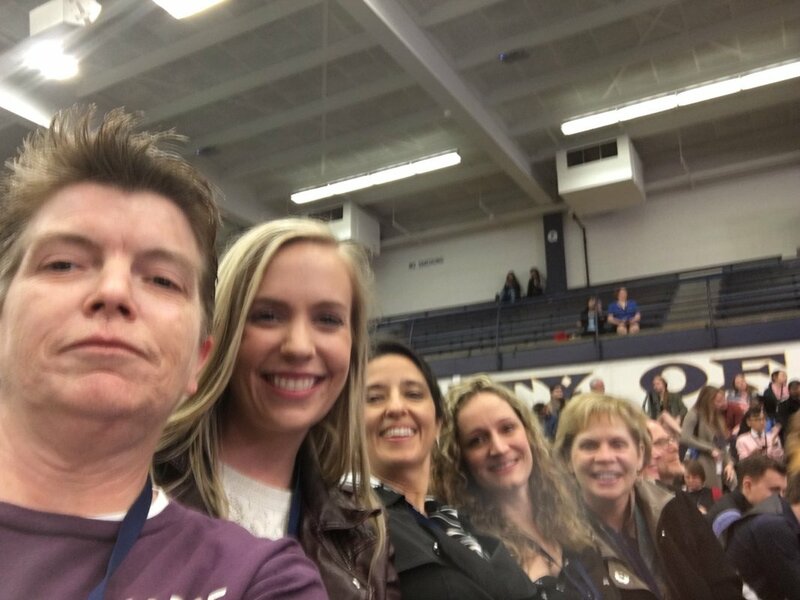 TCC was represented with a total of 11 projects at the NCUR conference on April 5 - 7 at University of Central Oklahoma in Edmond. 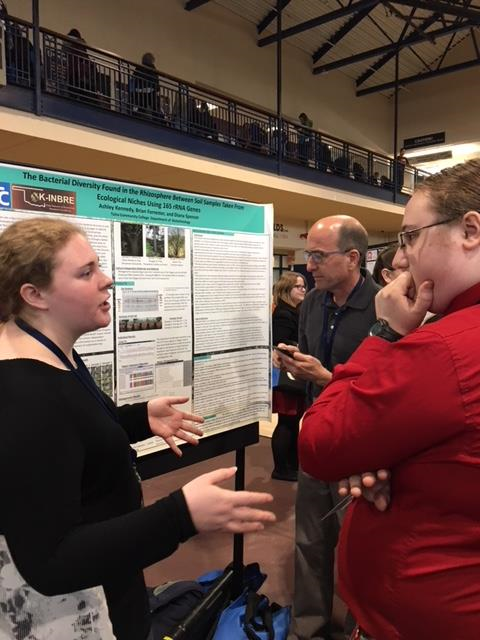 Despite some extreme weather swings (warm sun, rain, sleet, and snow) the 25+ student and faculty participants reported a wonderful time of learning and growing. There was an overwhelming number of poster and oral presentations on a wide variety of disciplines and topics--too many to take in during the three-day conference. 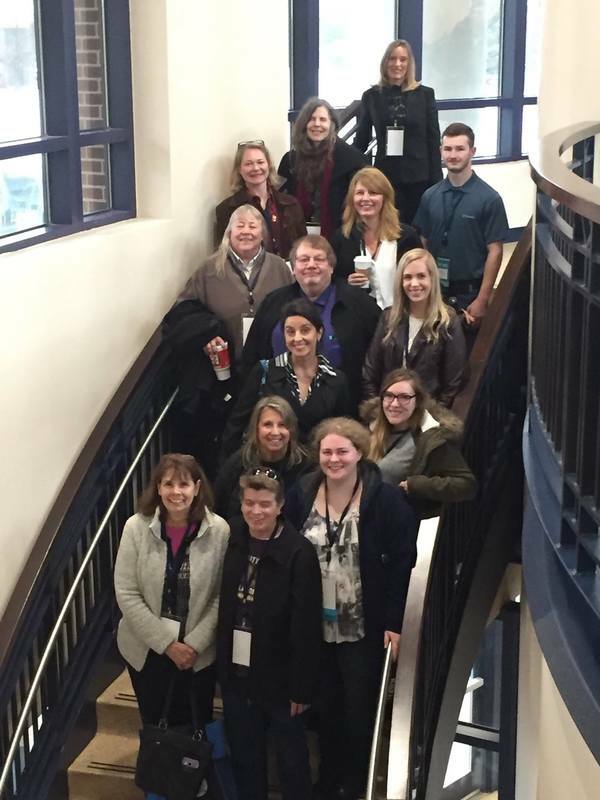 Travel and registration was underwritten by several sources at TCC: TCC Foundation, OK-INBRE grants, and some monies from Engaged Learning. 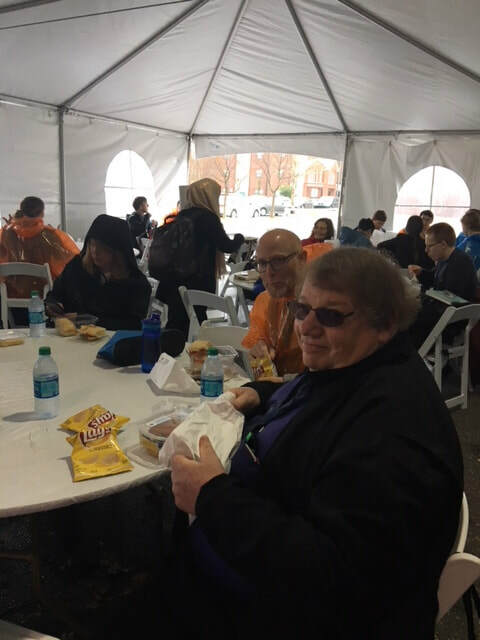 Selected photos appear below. 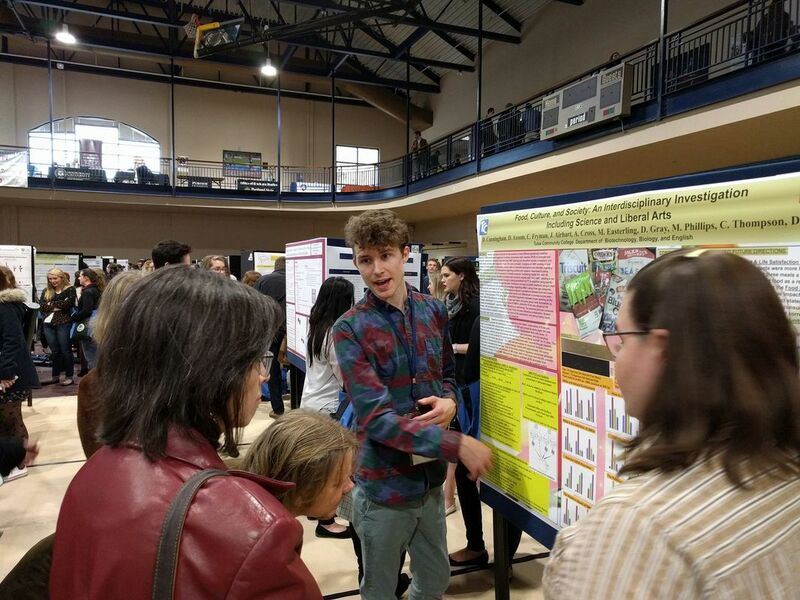 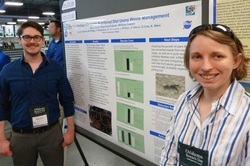 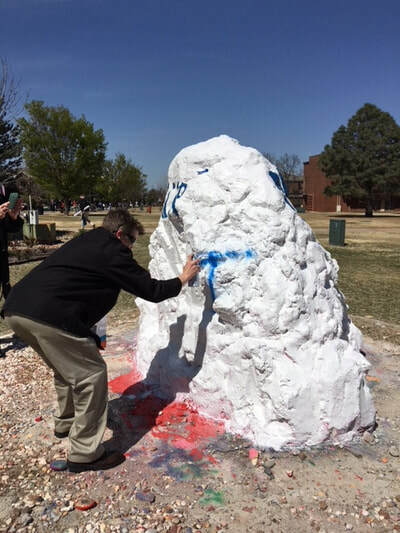 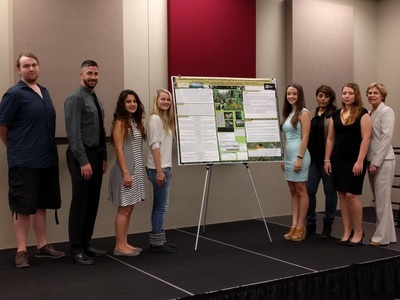 Students presented their research posters at the annual event in Enid Oklahoma on March 9. Some projects were completed during internships during summer of 2017. Other posters represented independent research or projects embedded in TCC coursework. 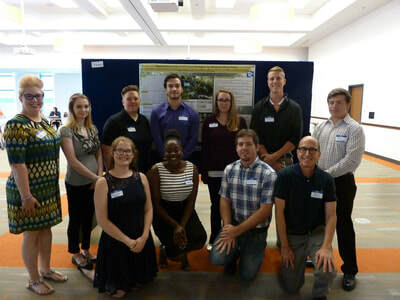 Several TCC summer interns, supported by TABERC (Tulsa Area Bioscience Education & Research Consortium) presented the research they did this summer in the labs of several scientists at OSU Center for Health Sciences. In addition, the Applied Bioscience Research class presented their summer class project with plant species from the grounds of TCC's Southeast campus. 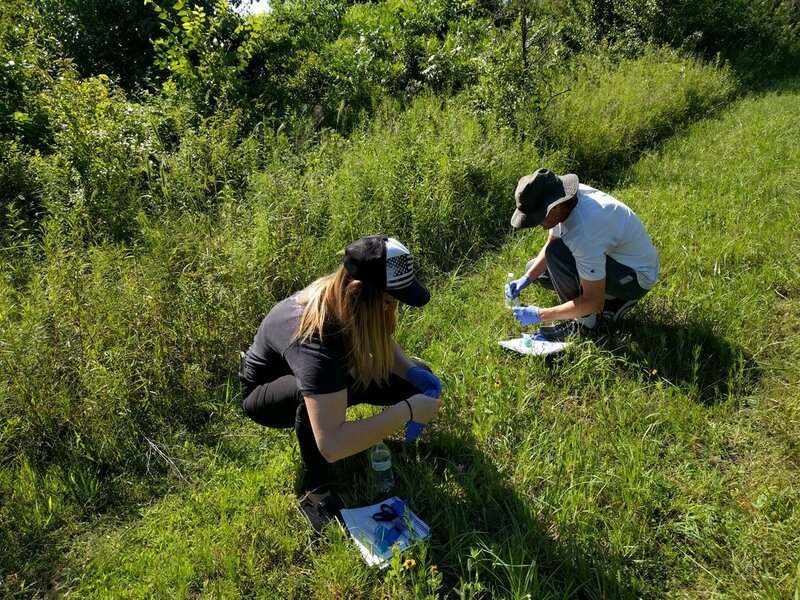 Additional research was done by two students who received grants to work with Dr. Diana Spencer in the Biotechnology lab this summer on the rhizobiomes of several species of trees across the US. Christy Eslinger, Anna Platt, and Michael Hilton have benefited from internship programs with various mentors and projects at the OSU Center for Health Sciences. 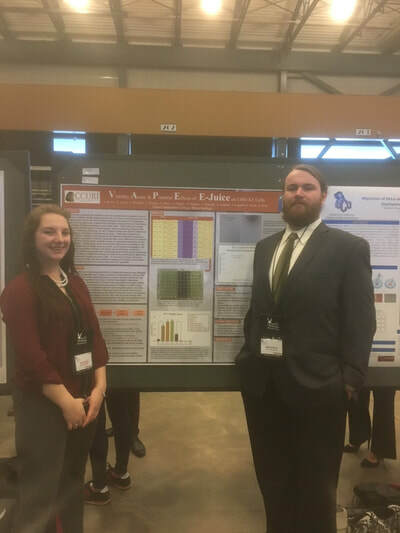 Christy is supported by a TABERC (Tulsa Area Biotechnology Education & Research Consortium) award, and Anna and Michael both received awards from OK-INBRE (Oklahoma IDeA Network of Biomedical Research Excellence). 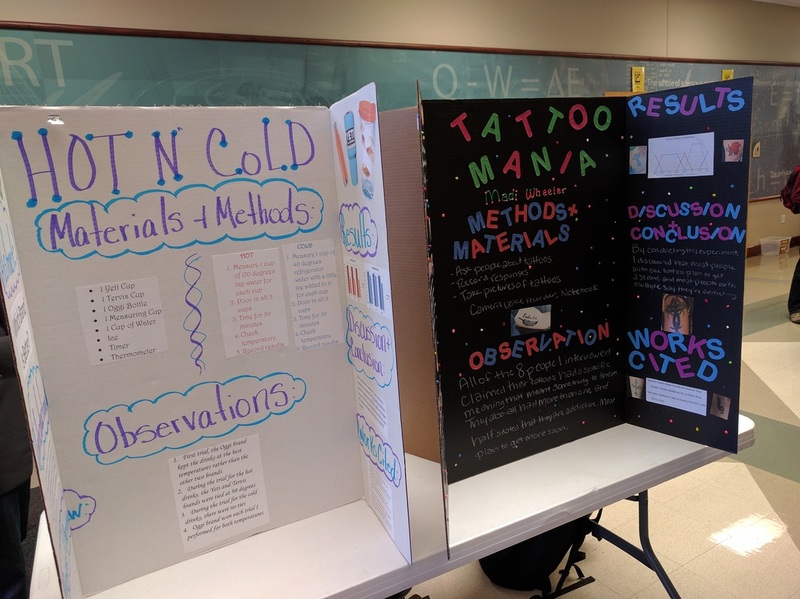 Students will soon present the work they've done. 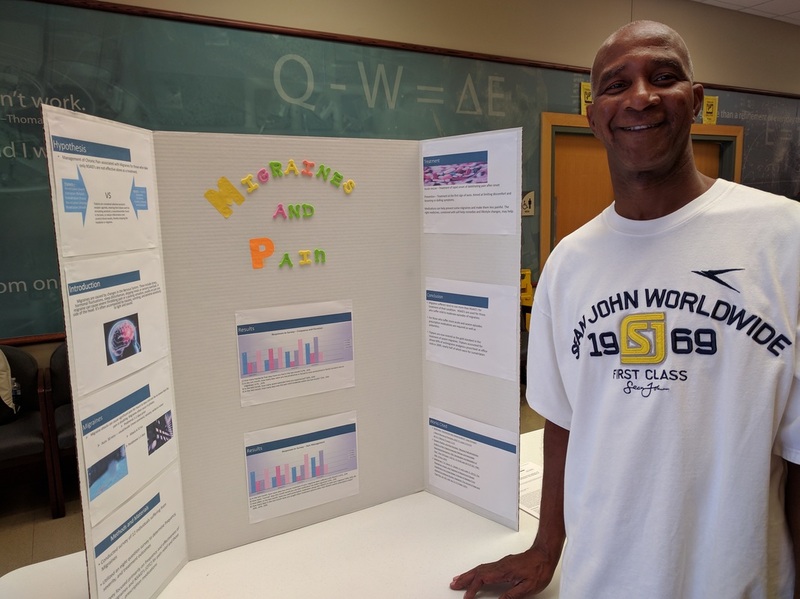 Congratulations to all for a great summer of learning! 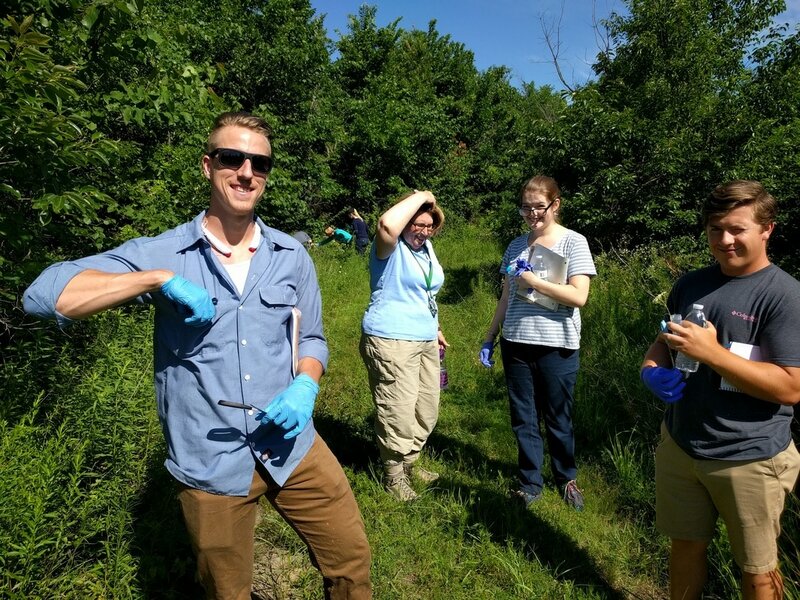 BIOT 2202, Applied Bioscience Research kicked off last week, with the annual trek through the hiking trail south of the Southeast Campus. 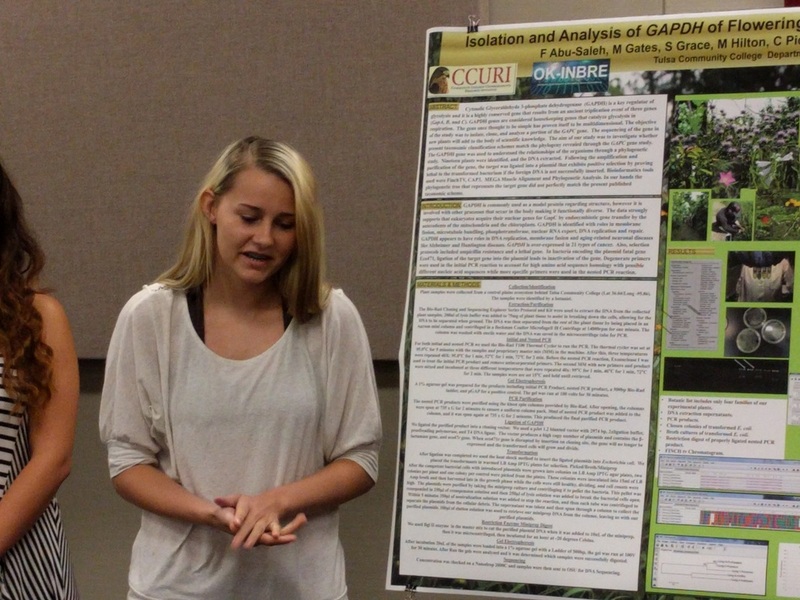 Students collected 22 plant species for DNA extraction and gene analysis throughout the summer session. 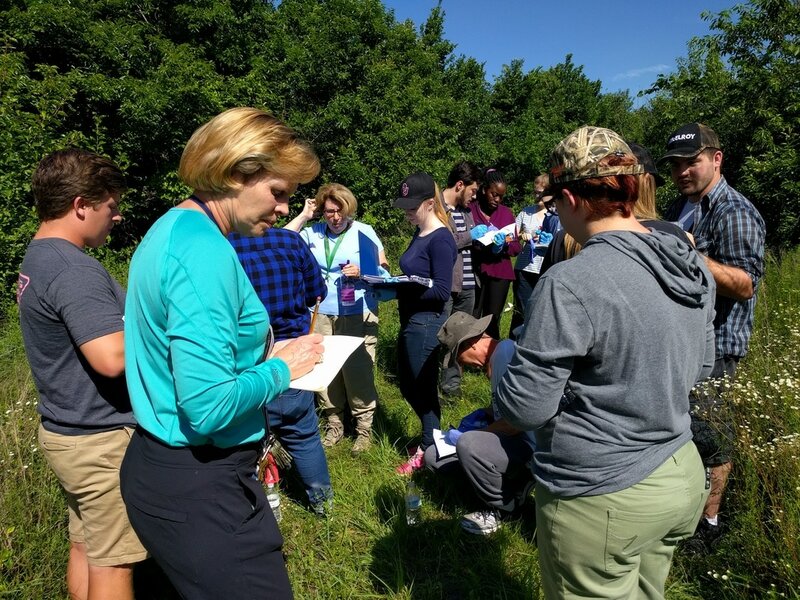 Retired TCC professor Dr. Connie Murray was on hand for the June 8 hike and identified genus and species for each of the specimens. 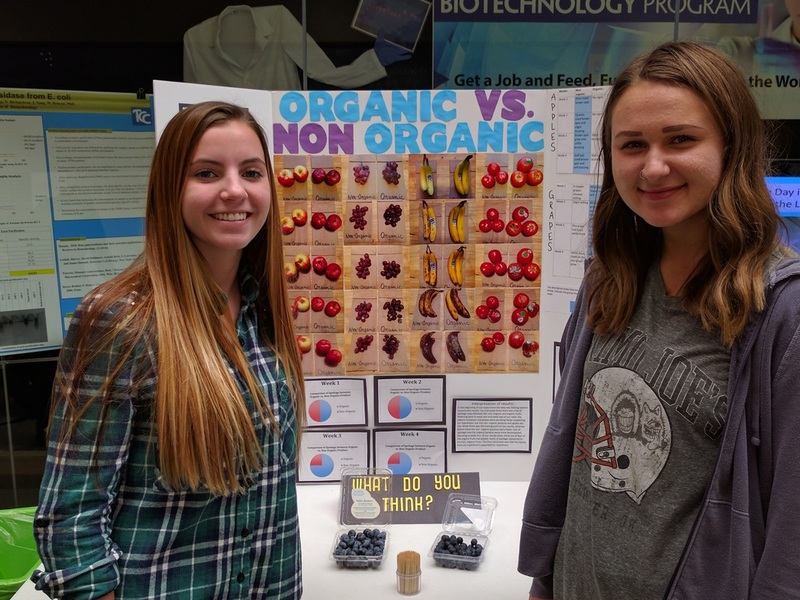 The rest of the summer will allow students to learn a variety of biotechnology lab skills and provide the data for a semester research poster, which they will then present at the end of the term. 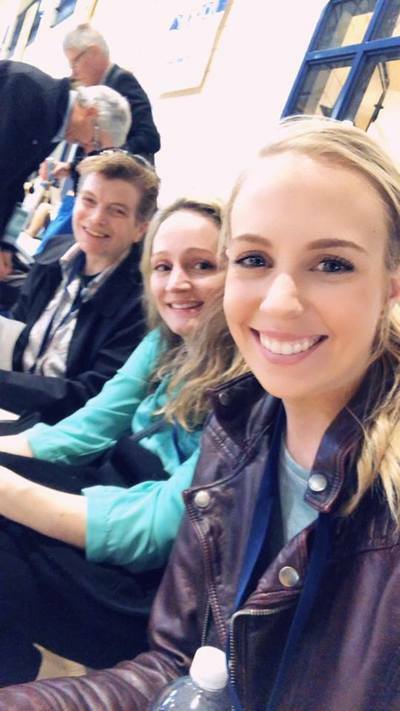 Three Tulsa Community College students and recent graduates start a prestigious summer internship program at NASA’s Jet Propulsion Laboratory in California this week. 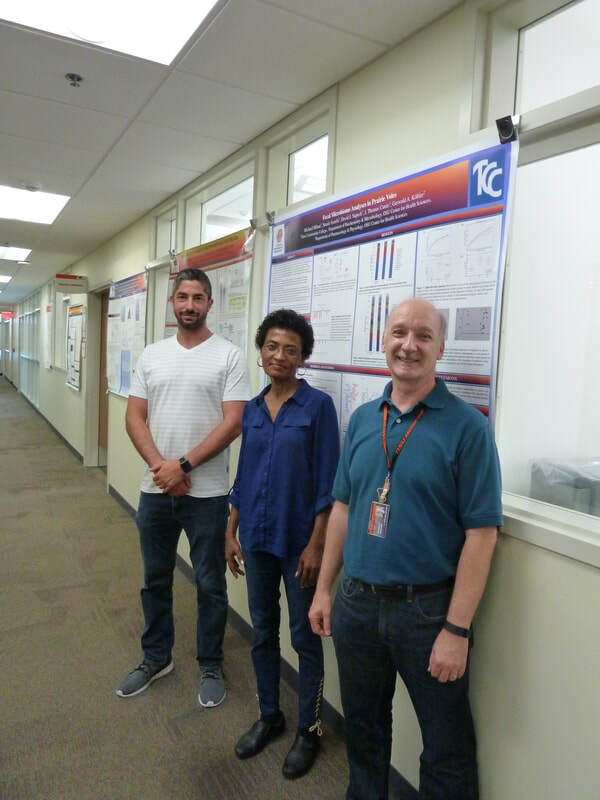 David Nnaji, Robin Blanchard, and Scott Walker will spend the next 10-weeks working in labs and conducting research. 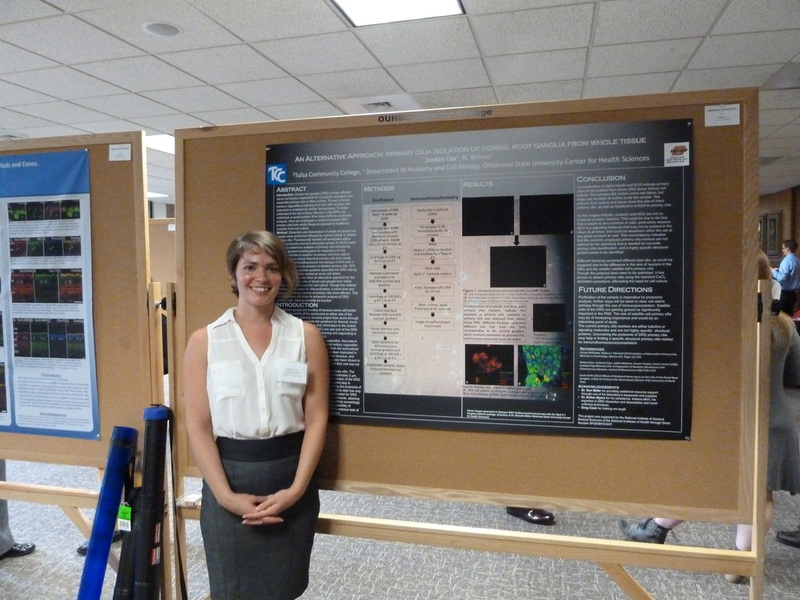 In addition, Tiffany Verlander, who was a JPL intern last summer, returns through a paid JPL internship. The students were selected through a competitive process by a team of TCC STEM faculty and JPL mentors. 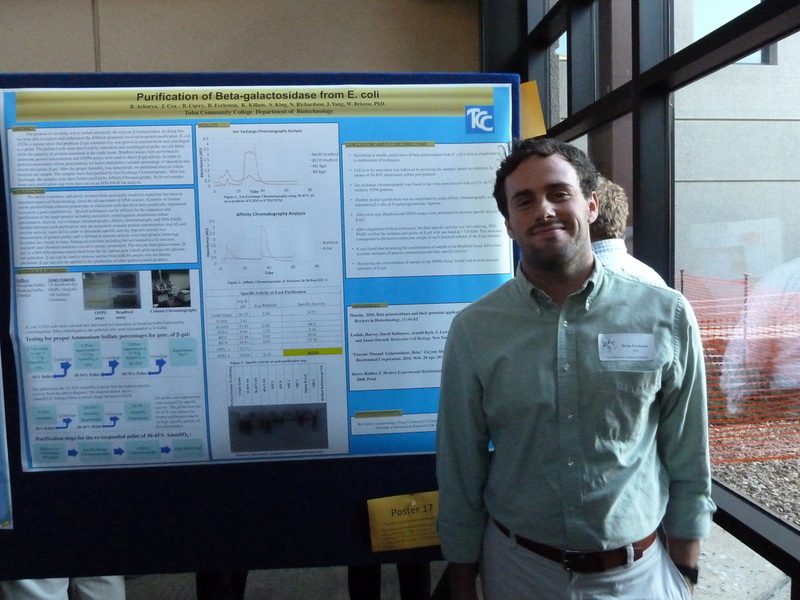 Walker is a mechanical engineer major at TCC. 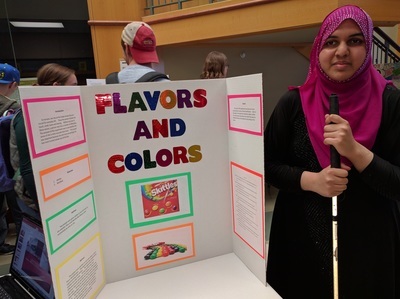 Nnaji graduated in May with two associate degrees in physics and math. Blanchard graduated in May with an associate degree in chemistry. 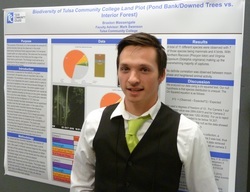 Verlander is majoring in environmental studies. Nnaji and Walker will work with robotics in areas such as pop-up robots, wall climbing robots, tensegrity landers and a novel snow mobility system which they will be in charge of completing. They will be mentored by Kalind Carpenter, a robotics engineer in the robotic vehicles and manipulators group. 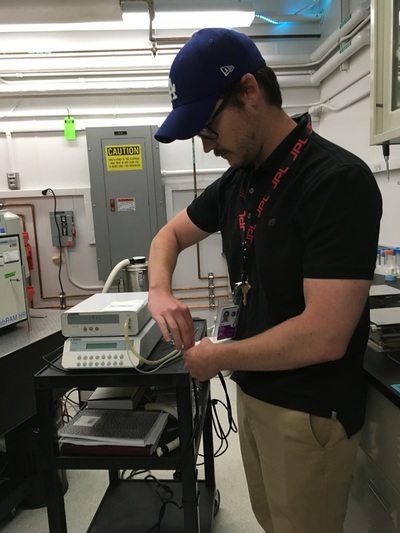 Blanchard will look for bio signatures or signs of life and the precursors related to the exploration of icy bodies such as Europa, Jupiter's moon and Enceladus, Saturn's moon. 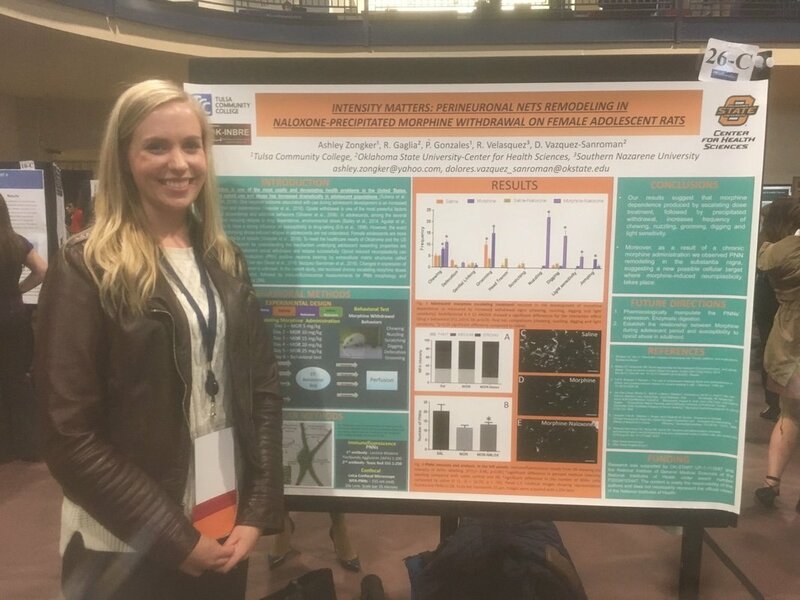 She will work under the direction of Dr. Aaron Noell. 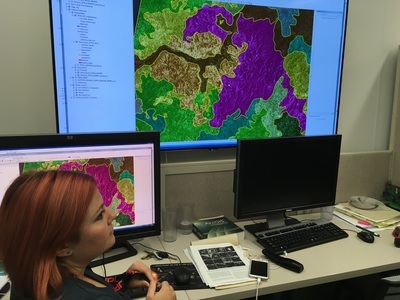 Verlander will use Geographic Information Systems to help map the images of Titan’s terrain, the largest moon of Saturn. 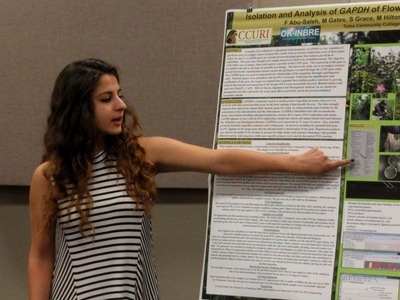 She will be mentored by Dr. Rosalie Lopes, a senior research scientist and manager of planetary science. 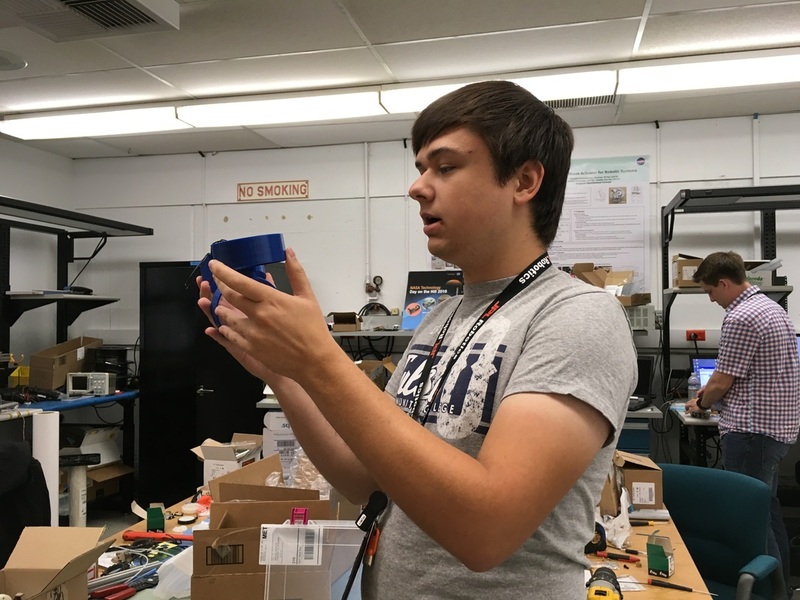 Participation in NASA’s JPL summer internship program is possible for the TCC students because of scholarships and grants. TCC became an affiliate member of the Oklahoma Space Grant Consortium in 2016 through the College’s work with NASA and JPL. 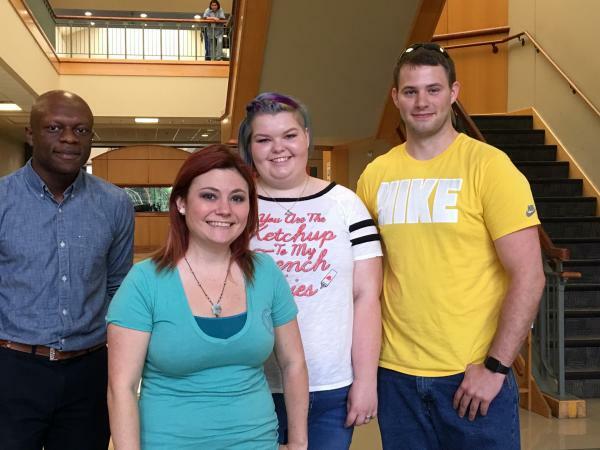 TCC leveraged a matching grant opportunity with The Wish Book, a fundraising project for the TCC Foundation, that allowed members of the Tulsa community to provide scholarships for the JPL students. 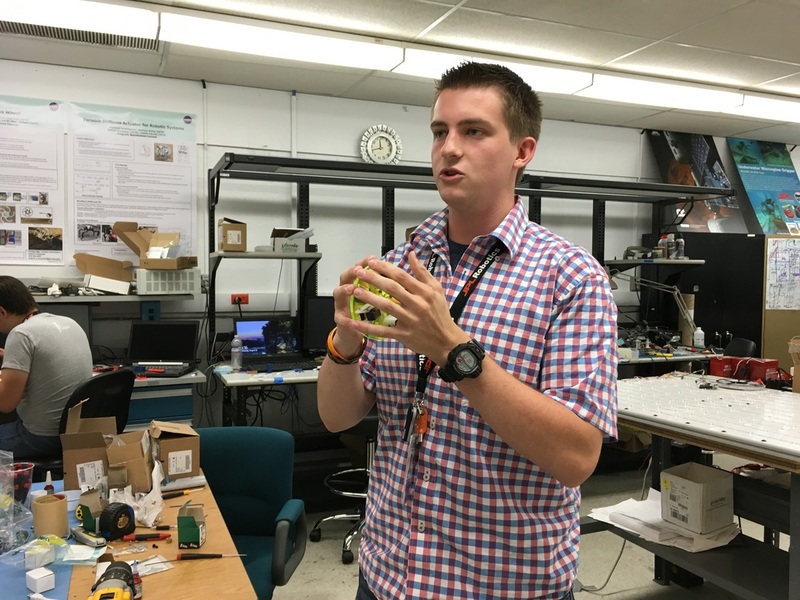 The students will return from NASA’s JPL in mid-August. Nursing Professor Christina George and Theater Professor Mark Frank teamed up this year to provide nursing students experience with holding end-of-life discussions with their patients and to provide theater students experience with simulating a patient who is near death. 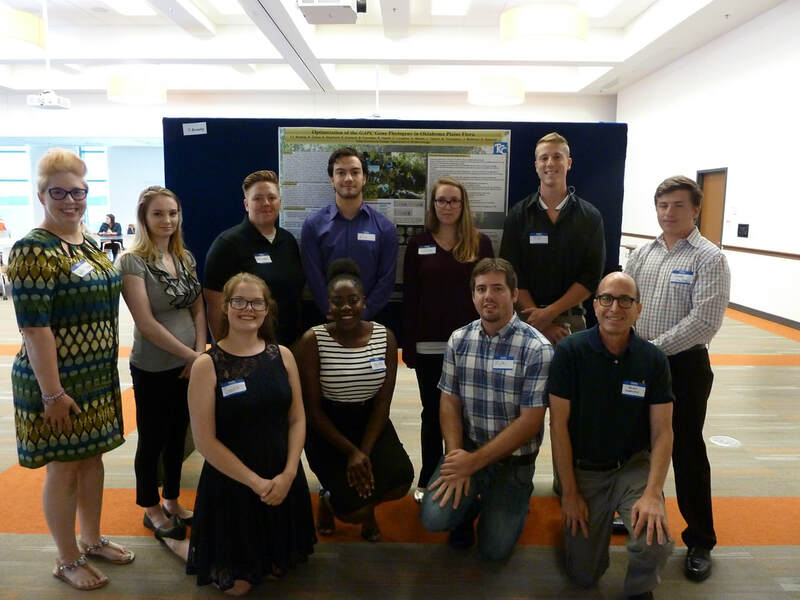 Both groups of students benefited from the exercise, and research will continue on this partnership through the FREE to ASPIRE research collaboration. 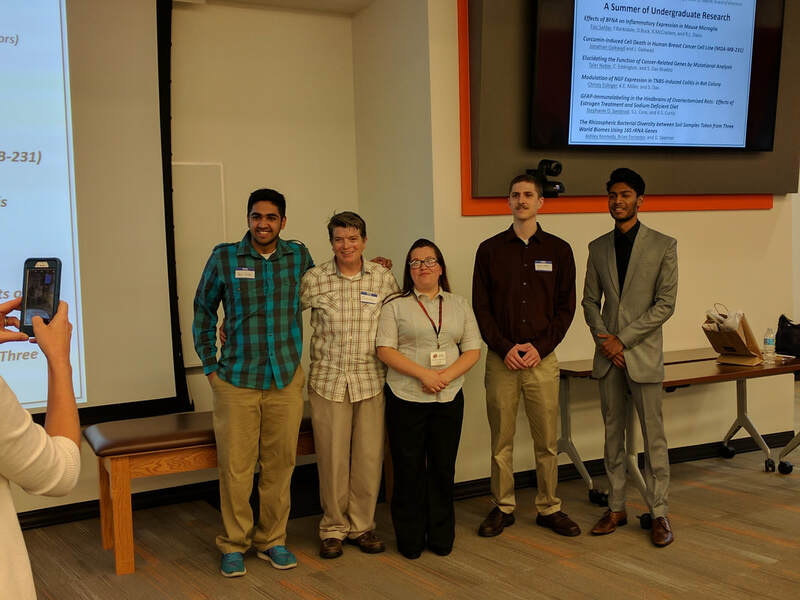 Professor George and some of her students presented the results of their study at the November 18 FREE to ASPIRE meeting. 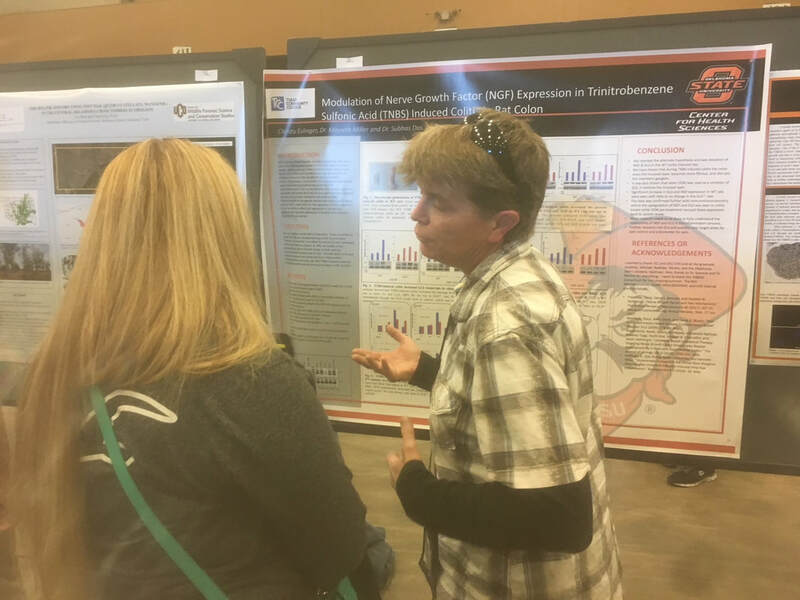 Click here for free poster templates at Genigraphics! 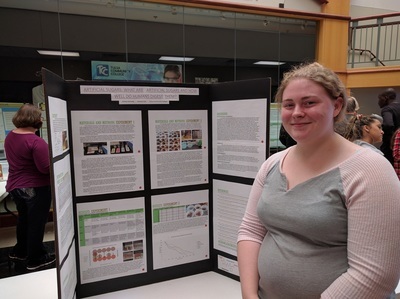 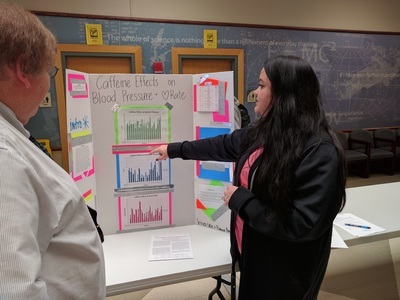 Students from eight professors' biology and physiology classes presented their research posters in the Science and Math Building at Southeast campus the week of November 14. 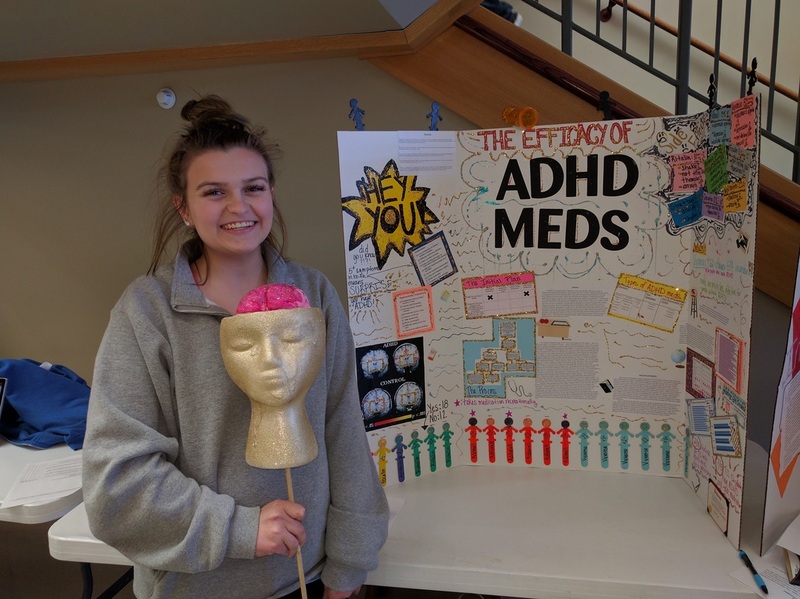 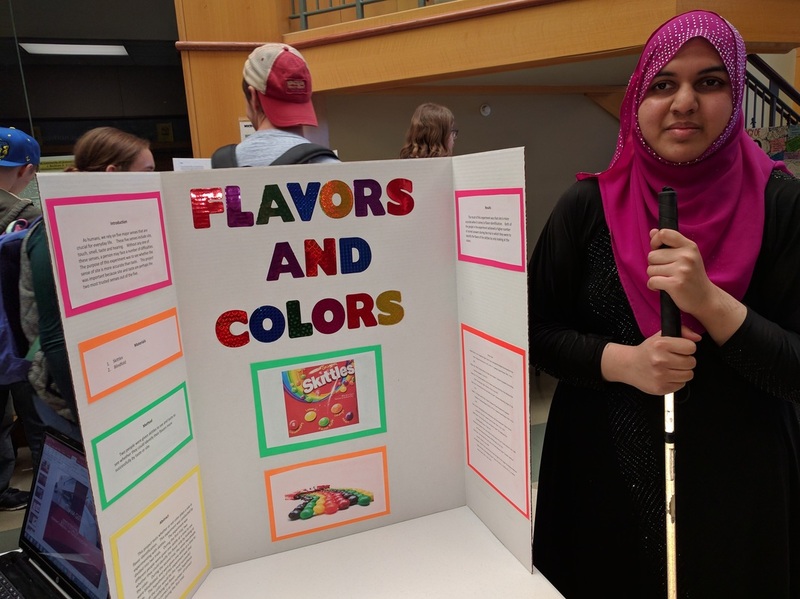 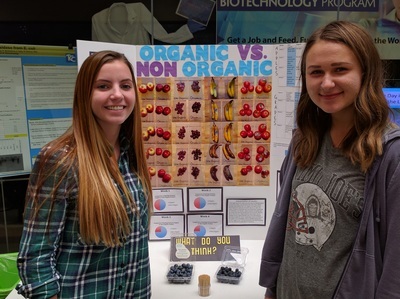 Student researchers presented results of their studies on a wide variety of topics, including effects of caffeine on the body, comparison of organic to non-organic produce, smile contagion, Skittles tasting, and more. 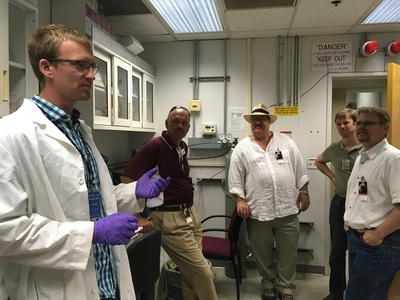 Mary Phillips, Tommy Henderson, Dr. Patrick Idwasi, Lance Phillips, Neil Enis, and Dr. Kelly Allen, STEM Research Challenge faculty mentors, spent part of their summer at the Jet Propulsion Laboratory meeting with TCC interns and their JPL mentors to learn about their 10-week research projects. 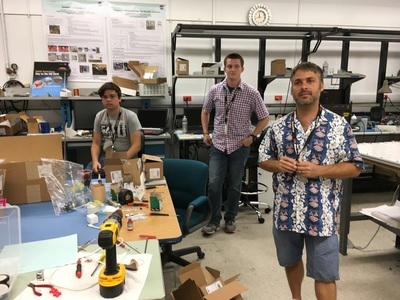 Students Alec Schalo and Zander Holden worked with JPL mentor, Kalind Carpenter, Robotics Engineer in the Robotic Vehicles and Manipulators Group. 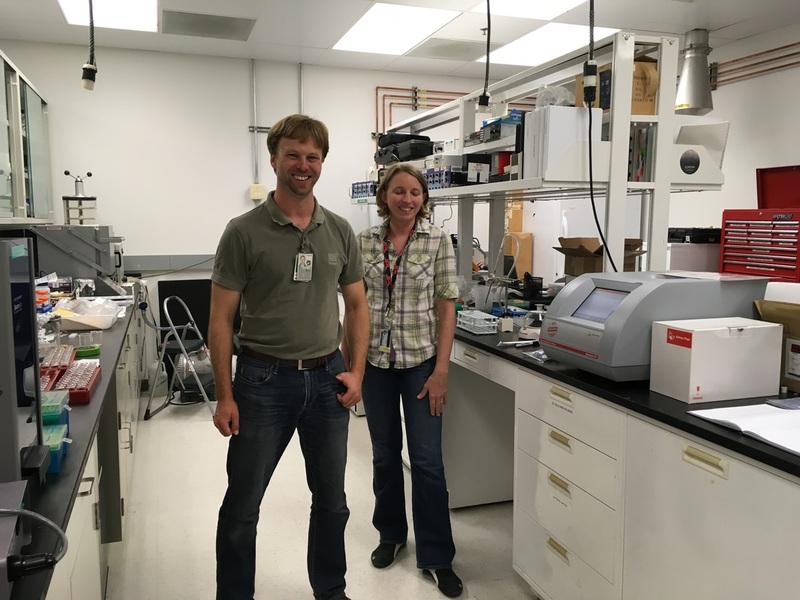 "The lab focuses on rapid technology development and end effectors specifically tailored to gripping and rough surface mobility". (JPL). Photos of their experience appear below. Hover over each smaller picture to see details. ​TCC Student Interns, STEM Research Challenge Faculty, and JPL mentors . 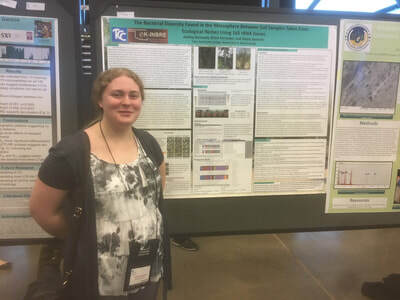 With funding from an OK-INBRE SMaRT (Summer Mentoring and Research Training) program grant, and assistance from faculty mentor Dr. Diana Spencer, Jacob Beckham spent eight weeks this summer analyzing the rhizosphere surrounding alfalfa plants. 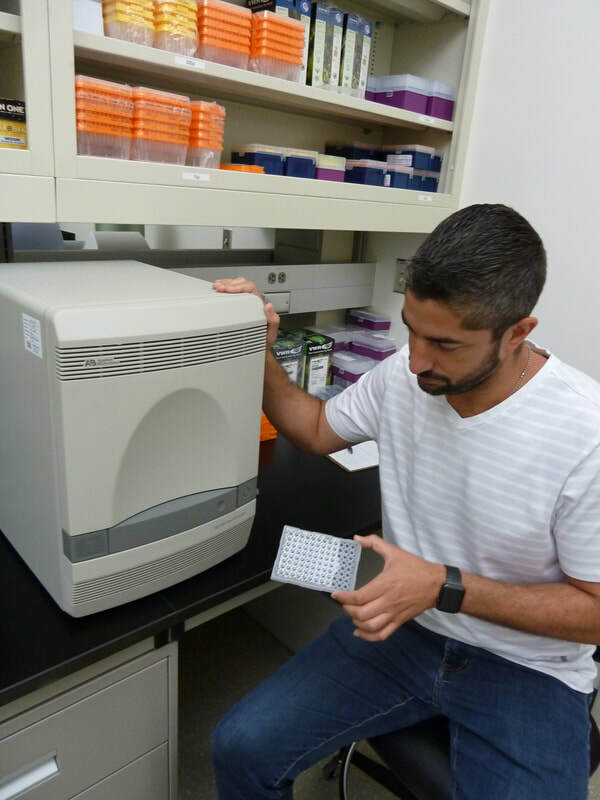 Soil was collected from near alfalfa and bermuda grass plants for extraction and isolation of bacterial DNA from a farm in Skiatook, OK. After isolation and purification, DNA was sent for sequencing, in the hope of identifying both known and previously unknown species of nitrogen-fixing bacteria. 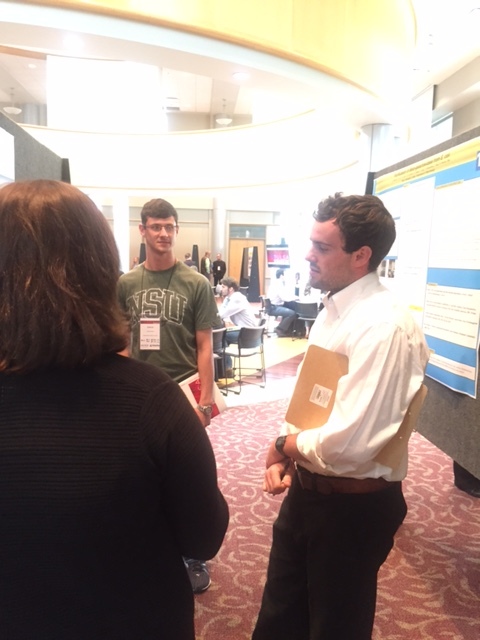 The summer research experience provided Beckham with an opportunity to learn how professional research is done. 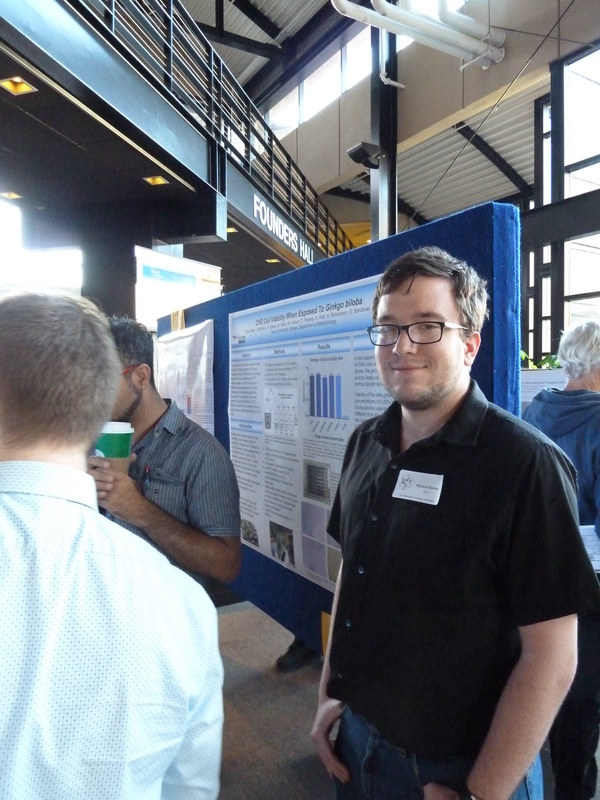 "It will give me greater confidence and allow me to work independently on future research projects." 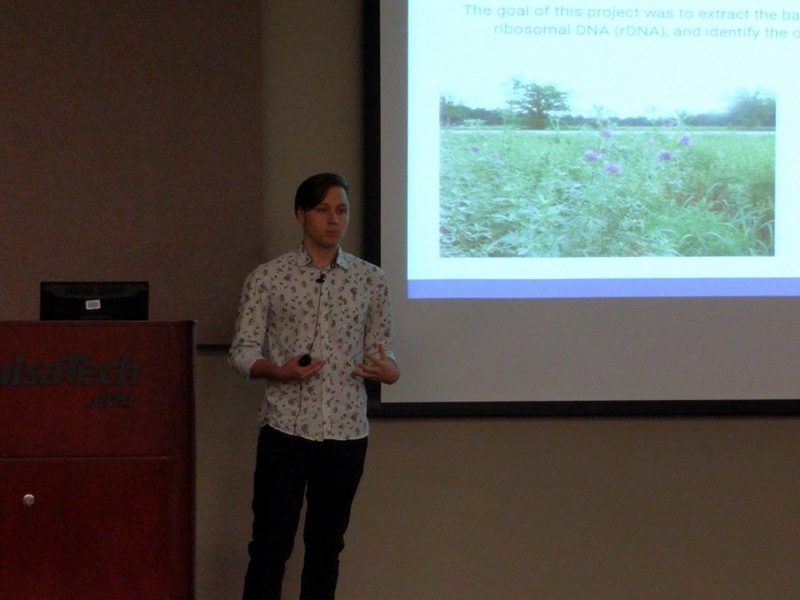 His summer project may lead to more concentrated analysis of nitrogen-fixing bacteria and their benefits in agriculture. 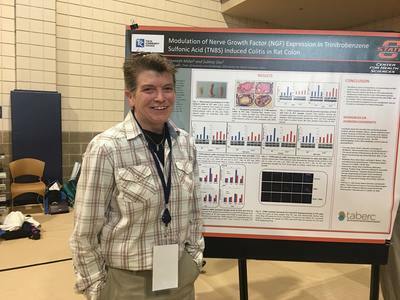 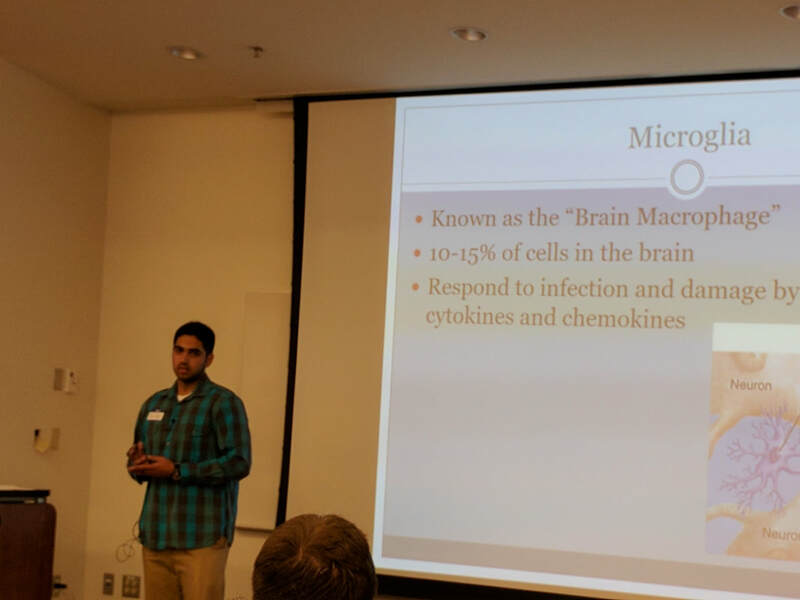 In October, Beckham was selected to present his research results at the Oklahoma Research Day at the Capitol, an annual event sponsored by EPSCOR. At this event, Oklahoma undergraduate researchers "inform the legislature and the public about the high-quality research being conducted at Oklahoma colleges and universities." 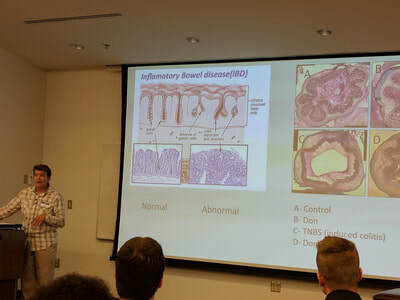 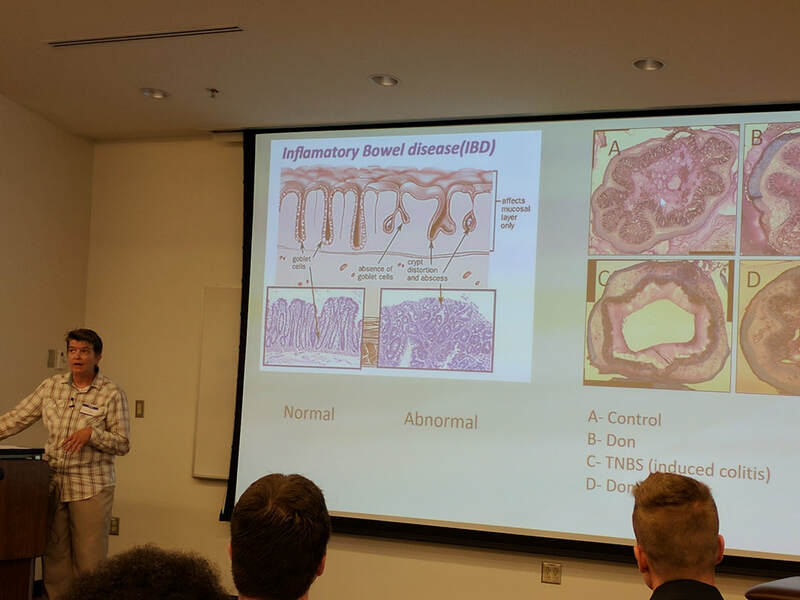 For students who secured summer internships funded by the Tulsa Area Bioscience Education & Research Consortium (TABERC), July 20 was Presentation Day. 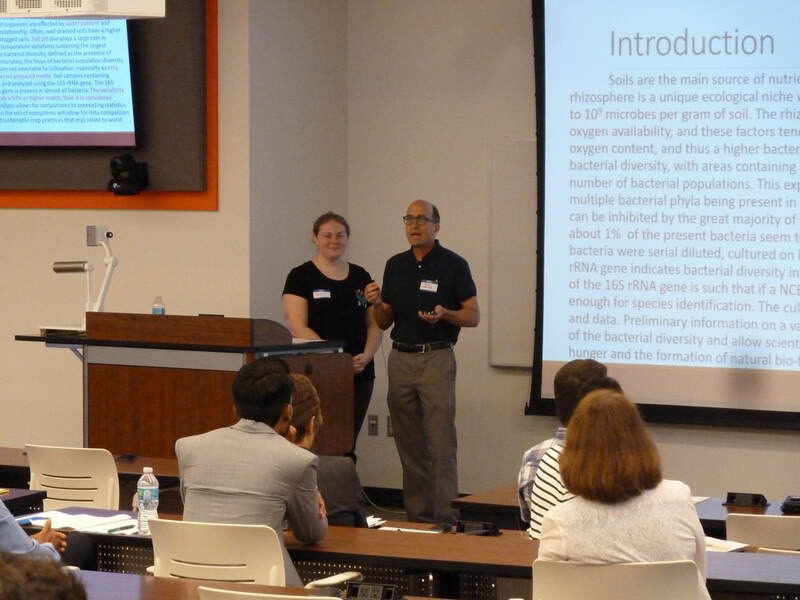 Studies conducted by 14 students at labs in the Tulsa area were presented to professors, members of the TABERC Board, and guests. 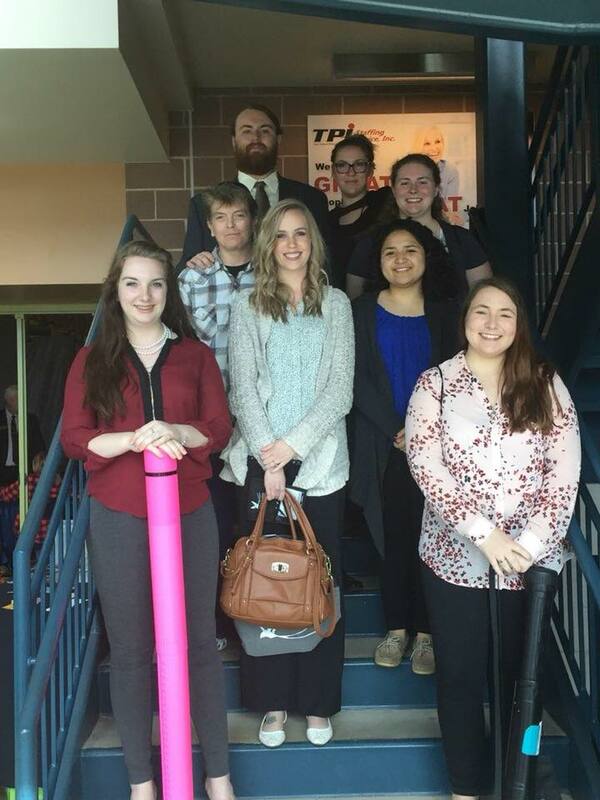 TCC students who participated were Jacob Beckman (OK-INBRE SMART grant recipient), Nick Richardson, Cassandra Pickerel, Fatima Abu-Saleh, Melissa Gates, Steven Grace, Michael Hilton, Taylor Russell, and Jessica Vallejo. Interns worked in laboratories at TCC, TU, OSU-CHS, NSU, ORU, and RSU on a wide range of projects, which provided them with opportunities to develop research skills and network with other graduate students and scientists. 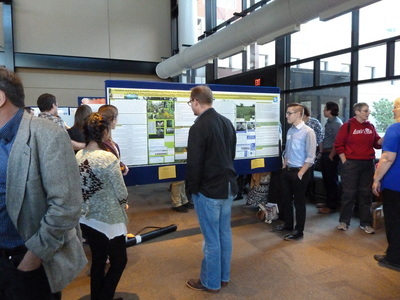 Host labs and professors provided valuable guidance and instruction, for which all students expressed deep appreciation. 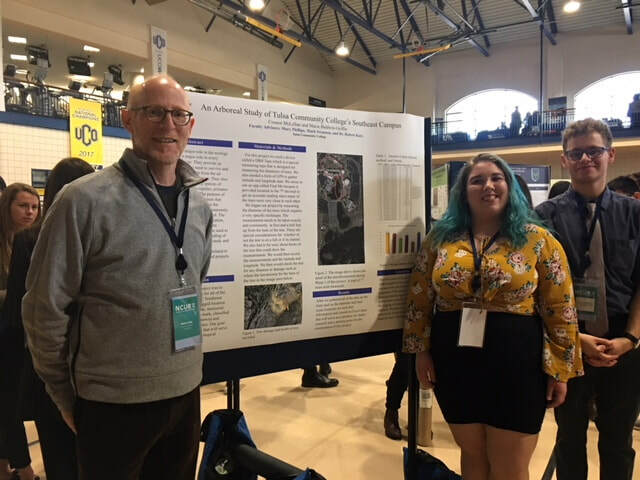 ​Laurelyn Rubidoux, mechanical engineering major, has facilitated and participated in several research and service learning projects at TCC. 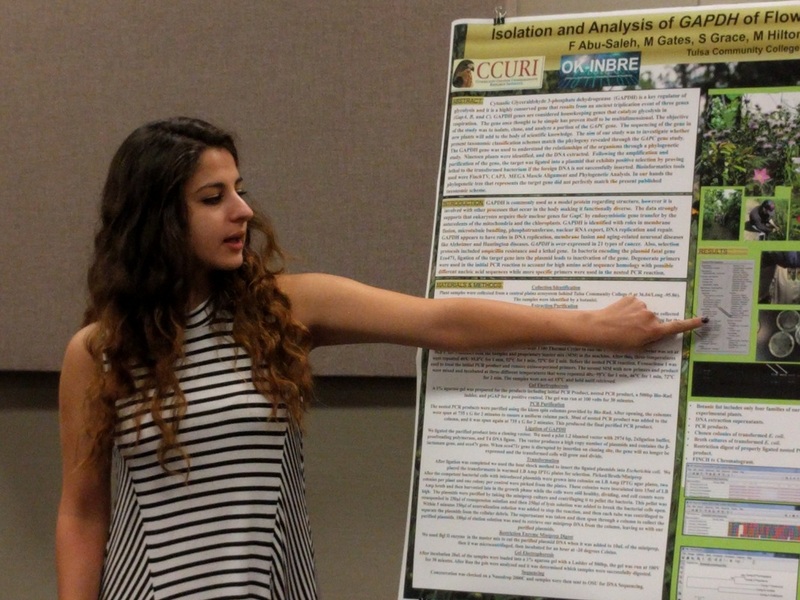 For the NASA JPL research course, her team studied the growth of Spirulina, a cyanobacteria with many health benefits. As work study / research student at West Campus, Laurelyn assists with the following projects: growing representative plants for biology courses and tender plants (tomatoes, peppers, eggplants) for community gardens; assisting with the teaching gardens; and tending the Kamama Community Garden. 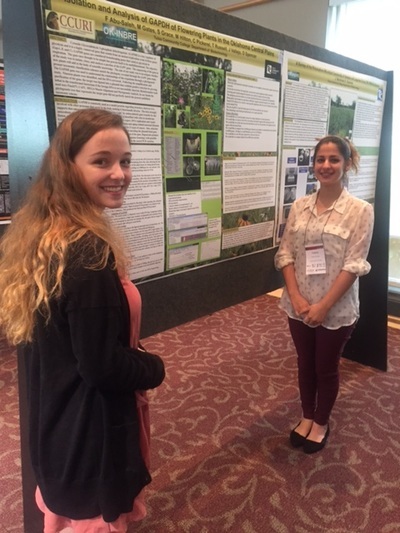 She presented the Kamama Community Garden project at the Tulsa City Wide Research Day and National Council of Undergraduate Research Biennial Conference in South Carolina. 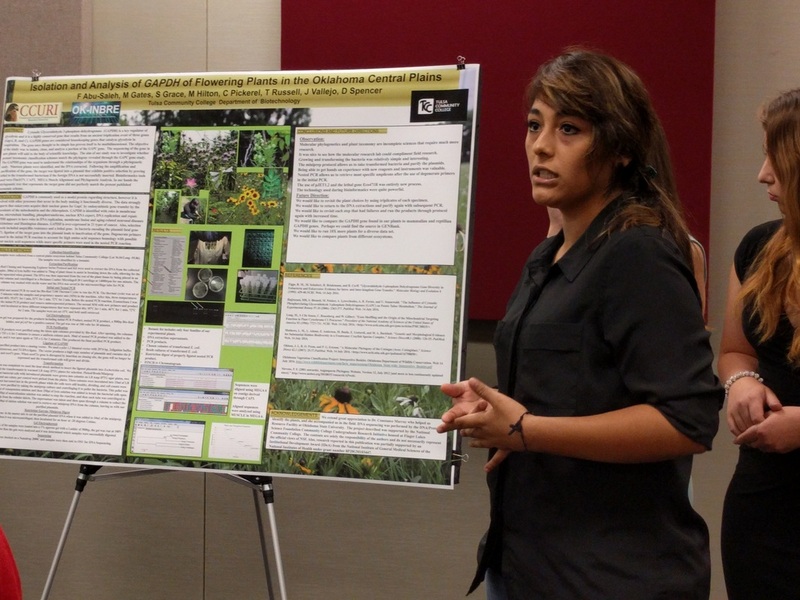 ​ Learn about the biodiversity of the native flora and fauna in our area. 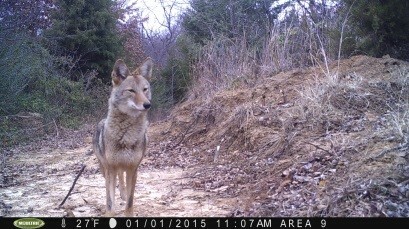 If you are interested in doing a research project working outside and discovering the wildlife and plants that live in our area, enroll in my research class and learn how to use camera traps, read animal sign and animal tracks. 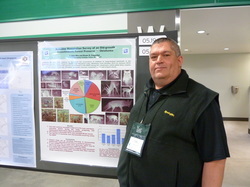 You will be able to determine how wildlife uses the different types of habitats for hunting and shelter. 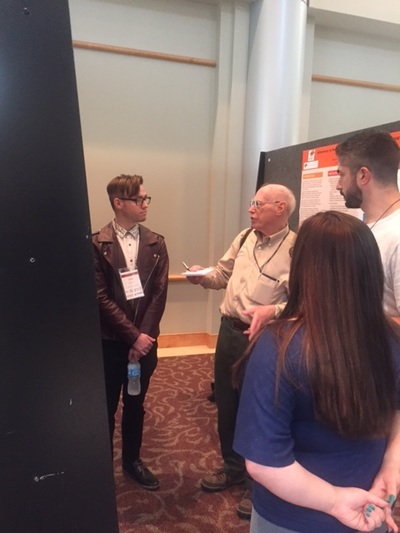 At the end of the project the student will give a power point presentation and do a poster presentation at Oklahoma research day. 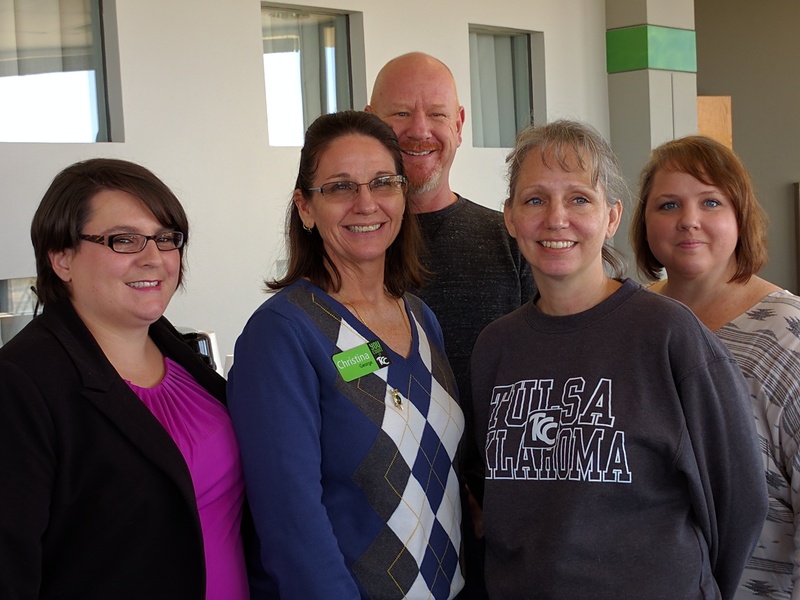 If you are interested please contact Mark Swanson at mark.swanson@tulsacc.edu or 918-595-8639. 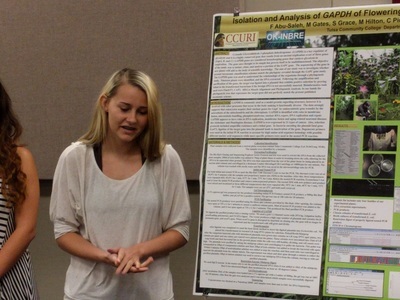 The course is BIO 2992, Biology Independent Study and will be offered in Summer and Fall of 2016. The CHAMP team was named a finalist in the 2015 NSF Community College Innovation Challenge for their project, which connected TCC students with area high schools to encourage participation in STEM activities. 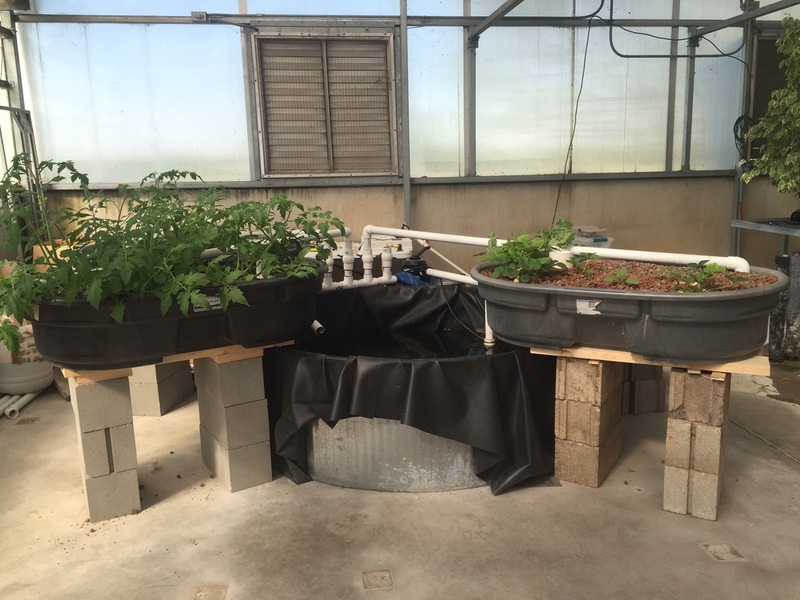 Their project engaged students in aquaponics, a field that combines aquaculture and hydroponic techniques. 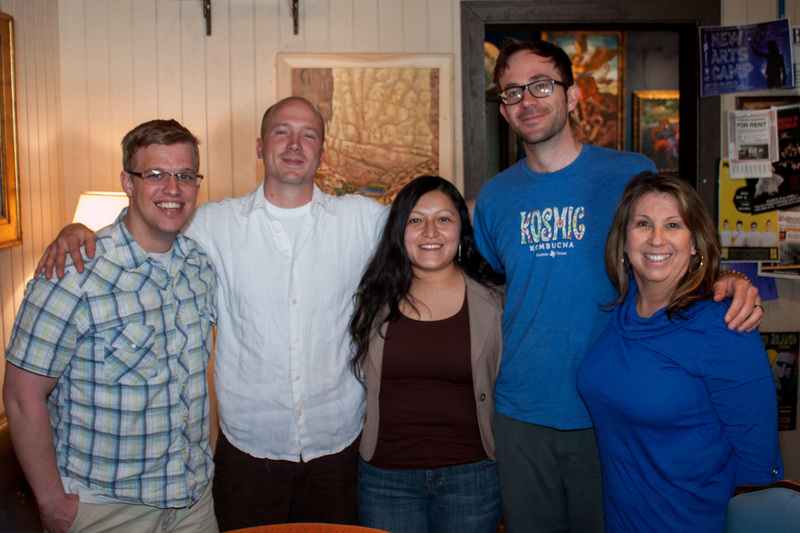 CHAMP Team members Jonathan Thompson, Dallas Elleman, Brenda Romero, Mark Harvey, and faculty mentor Mary Phillips. 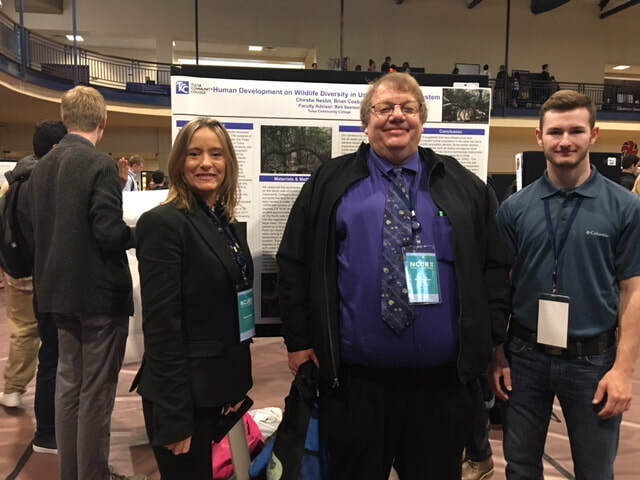 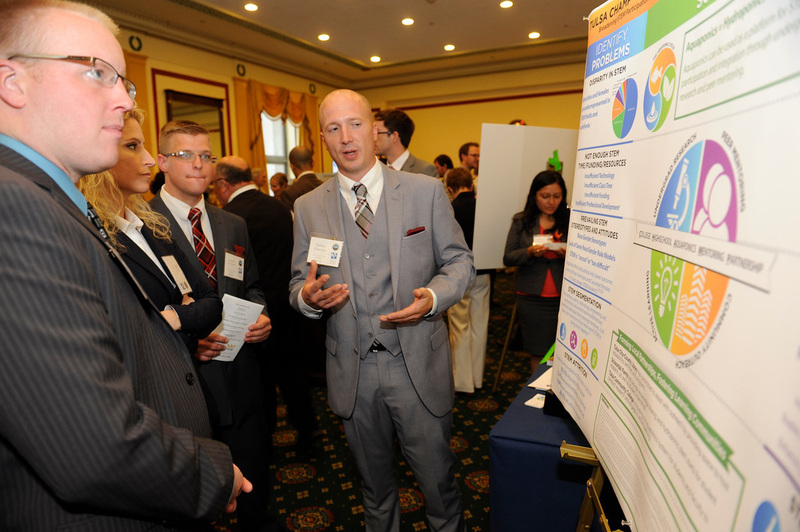 After their great success in the 2015 NSF Community College Innovation Challenge, several member of the CHAMP team (above) continued their research with a different emphasis for the 2016 competition. 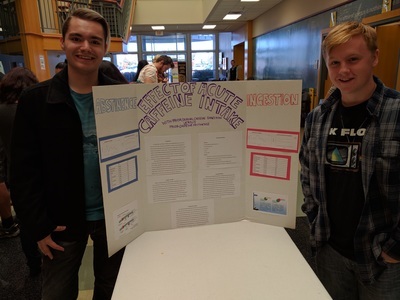 Using inexpensive components, the AMCLAM project promotes the environmental and educational benefits of local aquaponic food production by solving the problem of real-time water quality monitoring in these systems. AMCLAM Project Team also named a finalist in the NSF Community College Innovation Challenge for 2016! 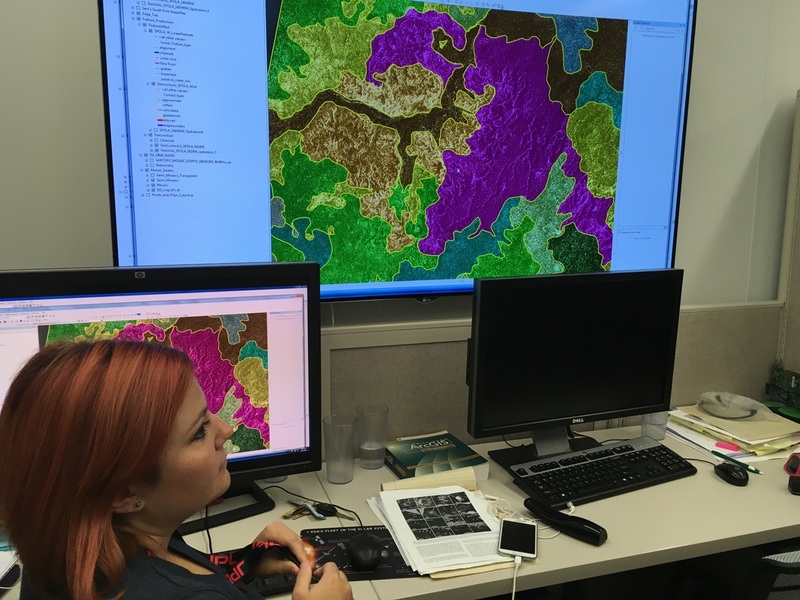 Baseline Mammalian Survey of an Old-Growth Crosstimbers Forest Preserve in Oklahoma. 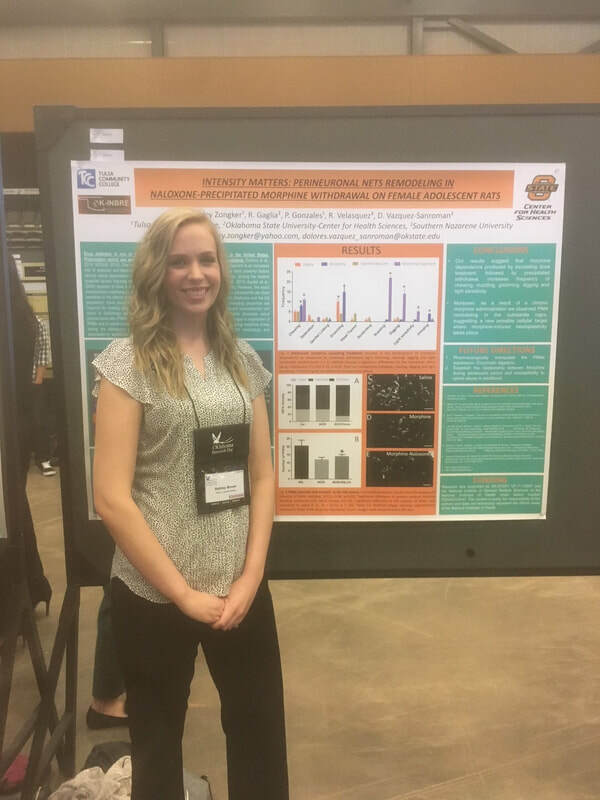 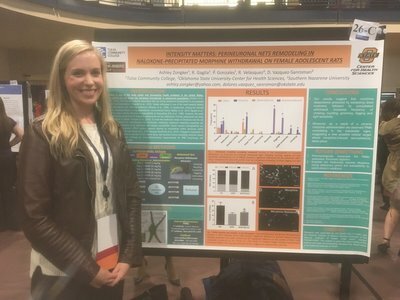 TCC graduate Jordan Cox was honored by the Oklahoma Academy of Science with the "Outstanding Undergraduate Poster" distinction for her research poster: "Immunohistochemical Identification and Characterization of Neuronal Primary Cilia in Rats" at the OAS 2015 technical meeting. 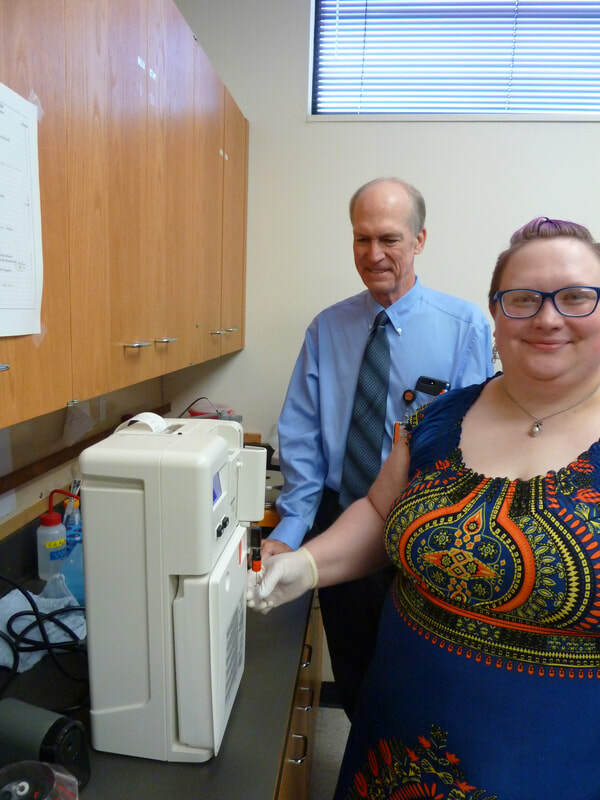 Cox's research was funded by an OK-INBRE grant and carried out with Dr. Nedra Wilson from the OSU Center for Health Sciences.